Call Us Today If You Need a Sewer Line Replacement. When you need to have a sewer line replacement, it is usually pretty evident that something has gone terribly wrong. There has likely been recurring problems or repairs that have needed to be done and you may have experienced backup over and over again. 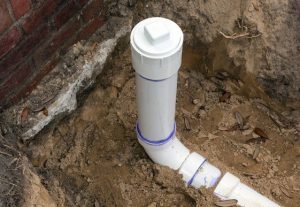 Once the problems have started to add up, it is usually better to do a sewer line replacement rather than continuing to do repairs because it starts to get expensive and time-consuming for you. There are different ways to do a sewer line replacement, one of them being that we can dig a trench and get to the lines that way. This process can take some time and it can be extremely messy. Your yard or the area that is under construction will have to be dug up and that can be frustrating to some people, especially if it happens to be in their front yard. The other way that our experts can get to sewer lines are to use a trenchless method. This way allows us to dig underneath the area and replace the line without having to dig giant holes and make large messes. This way can sometimes be cheaper as well because it doesn’t require the use of large machines and it is less time-consuming. When it comes to your insurance company paying for a sewer line replacement, it is probably not going to happen. The reason for this is because sewer lines are created to last a long time. Unless a crazy weather mishap is the cause, it is because the lines have gotten old and have worn down over the years or you have not taken care of them properly. This means that insurance companies will not take the blame and will not pay for any of the repairs. There are ways around this though, if you do move into an older home or plan to stay in your home for a very long time, you can talk to your insurance company about getting this type of thing insured. Taking care of your home doesn’t just end at keeping it clean. There are a lot of ways that you can take care of your home from the inside out and help prevent any kind of sewer line replacement. There should be no need to replace your sewer line after just a few years. These products are made to last several decades so if something is going wrong it is probably because you are not taking care of it the right way. Here are a few great ways to help keep your sewer lines clean and in their best shape for as long as possible. Maintenance – In order to stay on top of anything that is going on in your plumbing system, you will need to make sure that a professional plumber is there to check it out for you. At the very least, you should have your plumbing checked once a year. This will allow your system to stay in tip top shape and avoid any major damage from occurring under your watchful eye. There are maintenance plans that you can get on where you will save money on certain services and be reminded when it is time for a check-up. Ask one of our expert plumbers about it if you are interested. Down The Drain – Make sure that you know what is going down into your drains. It is so easy for these lines to get clogged up by food, hair, or other substances. You need to pay attention to what is going down the drain and what you can put down your drain to help keep everything flowing smoothly. There actually are a few different things that you can put down your toilet that will flow through your lines and keep them clearer. There are special chemicals that can go down the drain and help dissolve any buildup that may be happening. You can always give us a call if you have questions about chemicals so that there is no risk of getting the wrong one. Pay Attention To Leaks – If there are signs of leaks that are happening, it is important that you take care of them right away. Knowing what to look for is also crucial so that if you even slightly notice something, you can catch it before it turns into something much bigger. A small leak can turn into a whole replacement if it is not repaired right away. Call one of our professional plumbers to come out and take a look so that you can have peace 0f mind that your sewage system is working the way it should. Here at All About Plumbing & Septic, we are dedicated to making sure that your sewage system is in its best shape at all times. We also offer 24-hour plumbing services so that you are not left trying to find someone to take care of your plumbing problems at crazy hours of the night. When you need a sewer line replacement in Mills River, Hendersonville, and Asheville, NC, call us at 828-778-2425, and we will be there to help you right away. 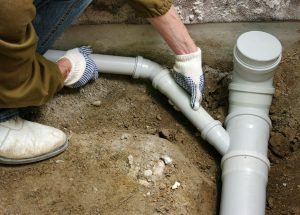 Updated on January 22, 2019 at 2:06 pm by All About Plumbing.